There are two parts to the annual inspection. The first inspection being an emissions test, or more commonly known as smog check. Emissions testing is completed by hooking your vehicle up to diagnostic equipment that connects to your on board diagnostic system. The second being a safety inspection. There are a few exemptions regarding the emissions test. The first exemption is diesel vehicles. The Second exemption is automobiles that are 1995 and older and vehicles that are 35 years and over. The last exemption is farmer licensed automobiles. All other cars must have their emissions tested when getting a North Carolina car inspection. Most automobiles are required to get a safety inspection. The only exemption is cars that are over 35 years old. The North Carolina safety car inspection covers various areas of your car. The inspector will check your tire quality to make sure there is enough tread and nothing is out of the ordinary. Your lights will also be checked to make sure they are working properly. This includes your headlights, turn signals, and brake lights. Their last few things they will inspect are your windows and the quality of them. Along with that, they check your windshield wipers to make sure they are good condition and working properly. Finally, your horn will be tested to make sure it is in good working condition. These test are all basic and are put into place for your and others safety while on the road. What happens if I do not pass my Car Inspection? If you don’t pass your inspection on the first try, don’t worry. Our Car inspection specialist will pin point the problem and advise you of what is needed to pass. 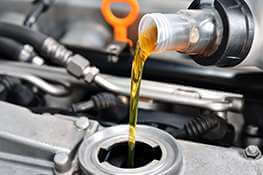 Our team of auto repair specialists will fix what is needed and make sure your vehicle is road ready and able to pass. Whatever the reason for your failed inspection, we can fix it! We have a great team of auto repair specialist ready to help you get your car inspection ready. For more information on Vehicle Emissions & Safety Inspections check out ncdot.gov or NC State’s Frequently asked questions document. Don’t forget to check out our specials page for valuable savings on your next inspection. Car inspections can take anywhere from 45 mins to an hour and a half. While you wait, we have free Wi-Fi, coffee, and water for your convenience. Call today or schedule your appointment online.